Australia has become a bit of a poker hot spot over the past few years, largely because of an Australian poker player named Joe Hachem who won the Main Event at the 2005 World Series of Poker. 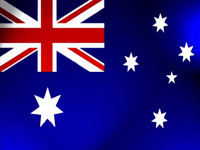 Since then, Australian players have flocked to online poker sites, largely because online poker is legal for residents of Australia (discussed further down the page). Online poker is 100% legal for players located in Australia. There has been some confusion regarding the legality of online poker in Australia due to a hazy act passed on June 28, 2001. This act was the Interactive Gambling Act, and was created to protect Australian citizens from the "dangers of online gambling". However, the act did not target Australian online poker players, but rather targeted online gambling operators who provided the services. The operators were driven out, because it became an offence to offer an interactive gambling service to a customer physically located in Australia. Fortunately for Australians, plenty of online poker sites who were not located in Australia continued to service Australian players. Since these operators are outside of Australia's borders, and Australian citizens are allowed to legally play online poker,	Aussies have nothing to be worried about while gambling online. Each of the Australian poker sites listed above accept both Visa and MasterCard credit and debit cards. If you choose to deposit at an Australian poker site with a debit or credit card your deposit will be instant, and you won't have to pay any fees whatsoever. Also, you will avoid providing the poker site with your private bank account information. Australians can also deposit using eChecks. These "eChecks" work exactly like paper checks, but the transactions are instant and can be sent directly from your computer. To use an eCheck at an Australian poker site, you simply have to provide the poker site with your bank's routing number, your account number, and possibly a few other details, and you can instantly transfer funds from your checking account to your online poker account for free. Since online poker is legal in Australia, players also have the option of using online eWallets to handle their gambling transactions. eWallets allow you to deposit money to an online account, and then instantly move the money into your online poker accounts. eWallets have fees, but the nice thing about eWallets is how fast you can withdraw funds from your poker account and move them instantly to your bank account. Crown Casino is located in Melbourne, Australia, and offers all the conveniences and luxuries of your typical Vegas casino. You can play an enormous variety of casino games including poker, blackjack, craps, roulette, video poker, and more. Plus, Crown Casino has a luxurious on site hotel that will cater to your every need. There is room service, a spa, bars, night clubs, shopping, and five star dining. Crown Casino can also handle events and conferences if you wish. Crown Casino holds the title for the largest casino in Australia. To learn more, visit www.crowncasino.com.au. Star City Hotel and Casino is the second largest casino in Australia, and is located in Pyrmont, Sydney. The casino offers two floors of casino games, eight bars, seven world class restaurants, over 350 hotel rooms, and over 130 private apartments. Star City Hotel and Casino also controls Sydney's premier theatre, the Lyric Theatre. Star City Hotel and Casino is the only legal casino in Sydney, and is overseen and regulated by the New South Wales Casino Control Authority. To learn more, visit www.starcity.com.au.